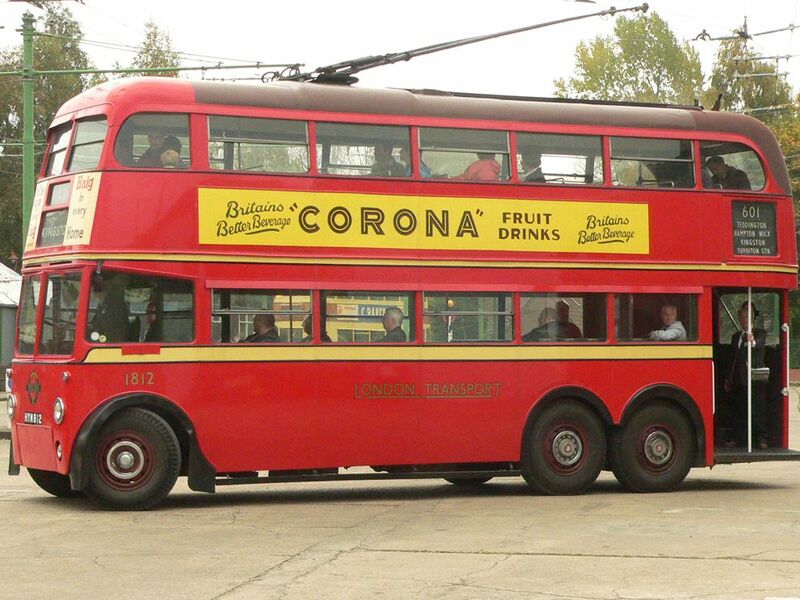 On May 16, 1931, the first trolleybus service began in London, England. Trolleybuses (sometimes shortened to just "trolleys") are buses that run at least in part on electrical energy provided by overhead wires. Trolleys like this one operated in London, England, between 1931 and 1962. Photograph by Dan Sellers, courtesy Wikimedia. This file is licensed under the Creative Commons Attribution-Share Alike 3.0 Unported license. On May 16, 1931, the first trolleybus service began in London, England. Trolleybuses, also called streetcars, are powered by electricity transmitted by overhead wires. Many cities in the United States have trolleys, including San Francisco, Philadelphia, and New Orleans. The London trolley fleet, for much of its life the largest system in the world, operated until 1962. Trolleys can be inconvenient because their initial infrastructure is expensive, rails and overhead wires take up space, and the system can pose a danger to cyclists and pedestrians. However, because they run on electricity, trolleys are less expensive to maintain and operate, quieter, and less polluting than buses with gasoline-powered engines. public transportation, usually electric, that runs on rails. Also known as a trolley. to transfer electrical energy in bulk.